Healthy, free, the world before me! Trev Pelzer, trusted friend, avid motorcyclist. I’ve been writing about things that give me an adrenaline rush, like motorcycles. There are other things that give me a thrill too, like writing these emails and sharing parts of me that I wouldn’t otherwise put “out there” or expose. Sometimes, it feels less safe to write these emails than to be riding on a motorcycle on the curves of the canyons of California! I have a very good friend who is an avid motorcycle rider and have asked him a myriad of times to take me on a ride and he has. 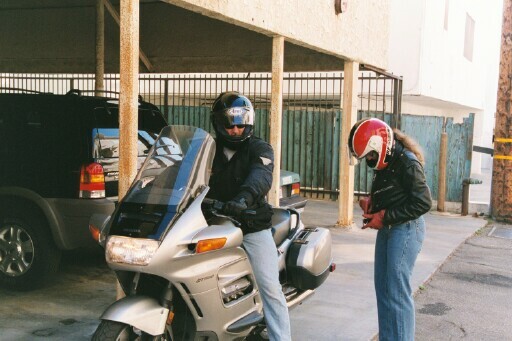 I loved donning my red leather gloves and motorcycle jacket, a purchase before a gig near Bleecker St. in NYC. I was ready for the road! On one of our rid es, we rode through the canyons of Malibu and the curves and turns were so smooth, I had to fight to stay awake. I felt so safe on the back of that motorcycle; a sweet surrender to the rhythm of the road, not to mention the backdrop of the mountain and blue sky. These days I still live vicariously as a passenger through those who actually ride motorcycles, but it’s been a long time since I’ve had a ride. But I get to be the driver when I’m creating designs made with a piece of the very thing that hugged that road and danced on its dangerous curves. In some way, we are one. 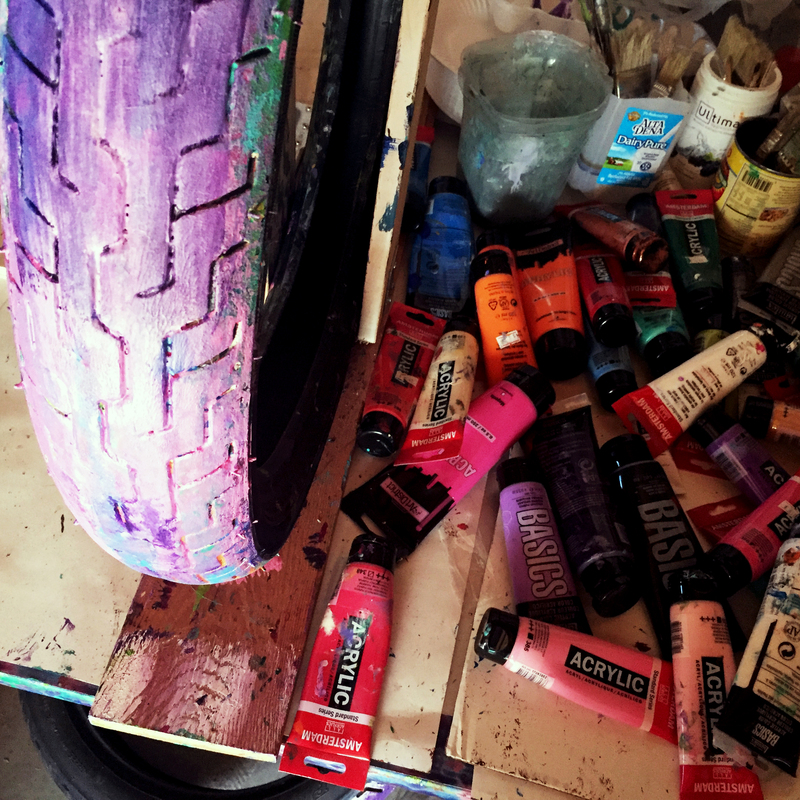 With every tread and color I choose, I am on an adventure, always excited to see what new design the combination will create. I hope to som eday get back on a motorcycle as a passenger, let go of my worries and fears (**and keep my shirt on!). This is an incredible adventure creating this new work and wondering if I can incite that thrill and excitement through design, material and color. Whether you ride a motorcycle or not, there is a ton of adventure out there, in there and everywhere. It is my goal to connect you, or reconnect you with that wonder, that thrill in the best (and safest) way I know how. As always, be gentle with yourself.